In the previous tutorial, you learned how to install the Publication Workflow add-on. Here, you'll learn how to use the add-on to create an idea box (automated suggestion box). To start using the add-on, open a blank Google Sheets. Then select (a) Add-ons > (b) Publication workflow by Awesome Table > (c) Build my workflow. Click the Select a template. 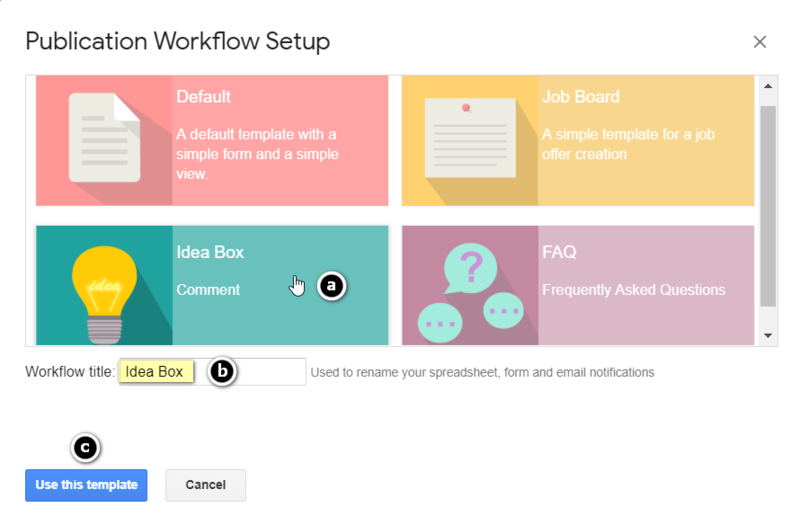 In this demo, we’re going to (a) choose the Idea Box workflow template. (b) Either accept the default workflow title or rename it as needed. (c) Then click the Use this template button. 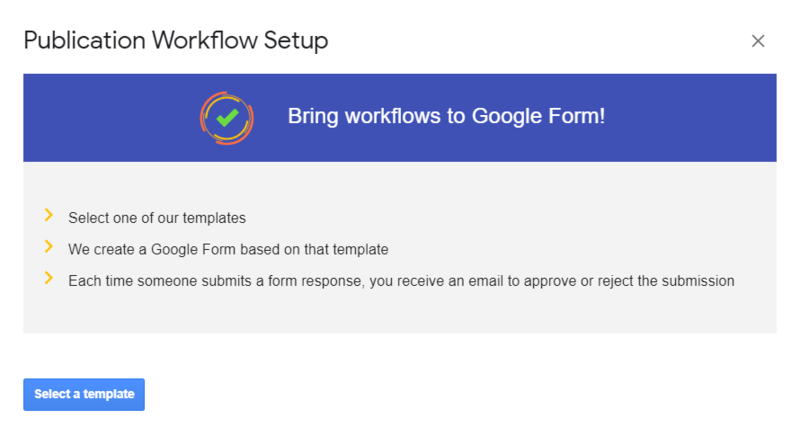 And in just a matter of seconds, your publication workflow tool is ready! info Whoever executes or runs the Publication Workflow add-on automatically becomes the workflow manager (managing editor). This person is responsible for approving or rejecting submissions and the upkeep of the accompanying Awesome Table view and data source. In this tutorial, you learned how to use the Publication Workflow add-on to create an automated suggestion box. In the final step of this tutorial, you'll learn how to implement and manage the suggestion box workflow.